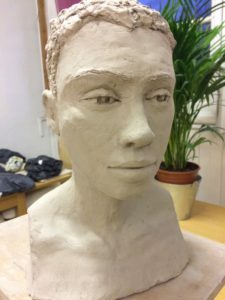 Sculpting Class starts in January! A six week tutored course working from a life model to produce a full size portrait head. The cost of the course is £110 (excluding firing). Small group and beginners are welcome. A six week untutored course. Students will work from a female life model.